Dr. David Marden is a native of San Francisco, California, and is board certified by the American College of Obstetrics & Gynecology and is a vConfidence approved physician. He received his doctorate of osteopathic medicine from the College of Osteopathic Medicine of the Pacific, Pomona, California. 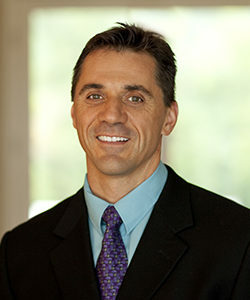 In addition to serving as an associate professor within the East Tennessee State University Department of Surgery and Family Medicine, Dr. Marden is an associate of the Laser Vaginal Rejuvenation Institute Medical Associates, Inc. and has been providing care to women of Northeast Tennessee, Southwest Virginia, Kentucky, North Carolina and Florida for the last thirteen years. Dr. Marden is a vConfidence approved physician who is completely committed to empowering women to improve their feminine quality of life, and Dr. Marden is a champion for empowering women with innovative medicine. He is an advocate of bioidentical hormone replacement therapy and a pioneer in leading-edge, minimally-invasive solutions, and he is particularly proud to be a champion of the vConfidence approach to enhancing feminine health and self-confidence. The mission of Embrace is to provide a comfortable and educational experience that presents options and information to help so you can stay healthy and vibrant at all stages of your adult life. As a vConfidence approved practice, Dr. Marden, and Embrace invite you to discover all that we have to offer, including the absolutely latest techniques in vConfidence feminine care. Schedule your complimentary consultation now, and let our trained staff help you customize a treatment program that is just right for you and your needs so that you can enjoy your femininity to the fullest.